Balloons Background to Black Friday PowerPoint Templates will help you create a thematic and professional presentation for conferences and other events. After downloading you will have a whole set of slides, including a theme for quick adaptation of the PowerPoint presentation. The wide functionality of the Balloons Background to Black Friday templates with high-quality backgrounds allows you to edit and customize it to your corporate style. 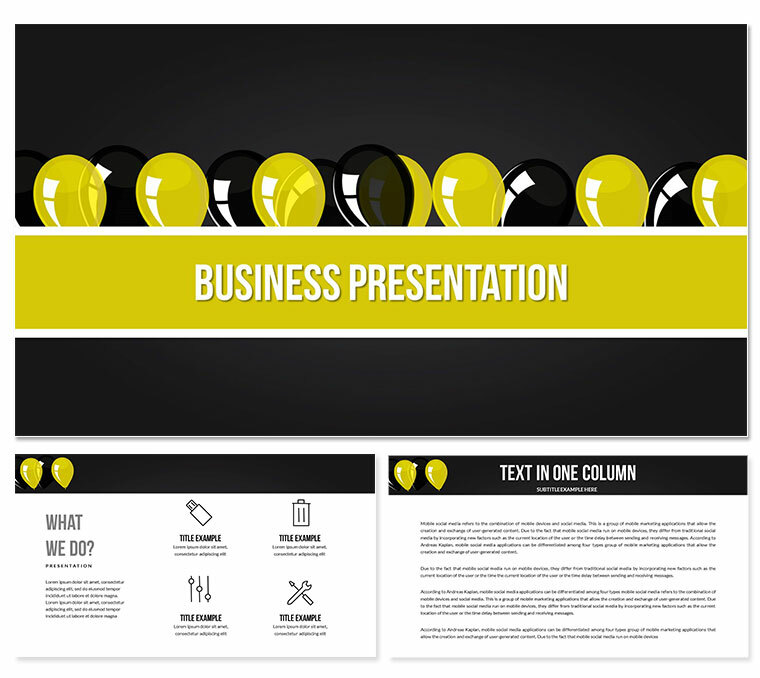 A created presentation with diagrams will be played on any computer.